Brady will guide international, multi-state large corporations and high-net-worth individuals with tax planning and compliance matters. Brady serves clients in the Richmond and Hampton Roads areas. Cherry Bekaert LLP (“the Firm”), one of the nation’s largest public accounting and consulting firms, is pleased to announce the promotion of Matthew “Matt” Brady to Tax Partner. Brady was previously a Senior Manager with the Firm. Sharing time between the Firm’s Richmond and Virginia Beach practices, Brady guides international, multi-state large corporations and high-net-worth individuals with tax planning and compliance matters. He is a member of Cherry Bekaert’s THInc practice and serves clients within Cherry Bekaert’s Industrial and Government Contractor services groups, specializing in large corporate and pass-thru entity tax compliance with added focus on state and local taxes, credits and incentives, and tax provisions (ASC 740). 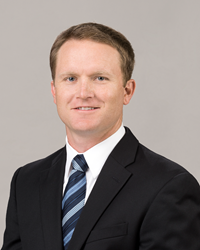 “Congratulations to Matt on his deserved promotion to Tax Partner with our Firm. His background and skills reflect the quality tax services Cherry Bekaert has offered for almost 70 years,” said Kurt W. Taves, Managing Partner of Cherry Bekaert’s Tax Services. “I look forward to collaborating with Matt in advancing the Firm’s Tax service line, as well as in providing tax solutions tailored to our clients’ needs." Throughout Brady’s 11-year career, he has handled diverse issues with respect to accounting for income taxes, international and multi-state tax compliance, research and development tax credits, cost segregation studies, and Internal Revenue Service and state audit defense, and domestic production activities deductions. Prior to joining the Firm, he spent four years at a Big Four firm, and five years with a Hampton Roads-based Securities and Exchange Commission registrant. Brady has a Bachelor of Science in Business Administration with a concentration in Accounting from East Carolina University. He is also a member of the American Institute of Certified Public Accountants and Virginia Society of Certified Public Accountants. With a compliment of over 1,000 professionals, Cherry Bekaert is regarded as one of the top public accounting and advisory firms in the Country. For more information on Cherry Bekaert visit http://www.cbh.com.